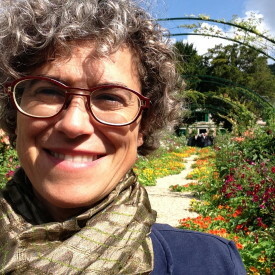 Isabelle Lacourt is an Agronomist, has got a phD in soil microbiology and has worked as a researcher in France, Scotland, USA, Canada, Italy for 10 years. Since 2005 she has got a master in Environmental communication (IED of Turin) and has been specialized in thematics such as sustainable food systems and the use of sustainable development as a lever to compete. Responsible of research activities in Risteco, she has written/coordinated/ participated to several European Projects focusing on adult training on the topic of environmental impacts in catering (Softagri, Bio chez Toi, C2C). She is now involved in Eating City project where she organises workshops meetings and write publications and reports. She is one of the co-Authors of the books “La ville qui mange” and “City food Policies. Securing our daily bread in an urbanizing world.”.